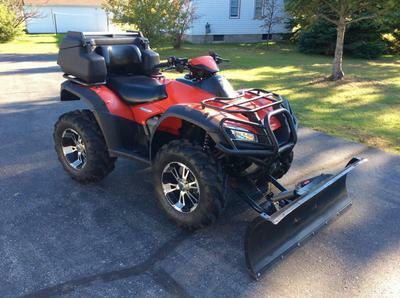 The 2007 Honda Rincon for Sale is a 680FA 4X4 Rincon that has primarily been used to plow and smoothe a short driveway. the Rincon has just over 2k miles on it and has been very well maintained with regular oil changes and it has recently had a valve adjustment. 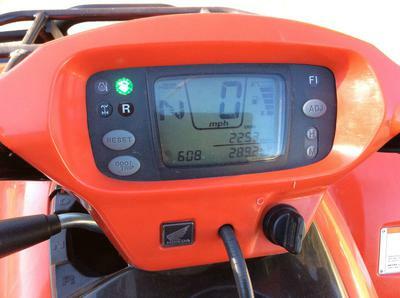 The 680FA comes with a plow ,a brushguard, a factory warn winch and a storage box with backrest for the comfort of your passenger. This nice, used Honda 4X4 starts and runs like new, plows like a small truck and is very difficult to get stuck! 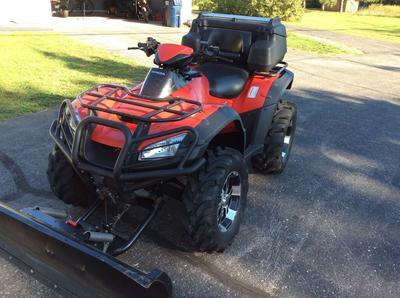 Purchased new truck with plow so the atv will no longer be needed. If you have any questions regarding the '07 Rincon or if you would like to make an appointment to see it in person you can get in touch with me using the contact information I have posted below. I am listing it on GoGoCycles Used Honda ATVs for no other reason than I have a new pickup and just don't need the 4X4 any longer. 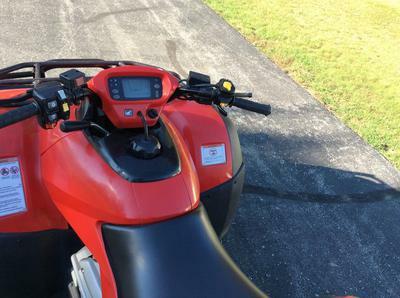 The 2007 Honda Rincon for Sale is in Rapid River MI Michigan and I believe that it's the best deal around so email me, MaddyRichardsokk "at" aol "dot" com, before it's gone and don't forget to mention that you found this ad on GoGoCycles Motorcycle Classifieds www.gogocycles.com using the comments forms located on this page. I'll bring it to you if you want me to.